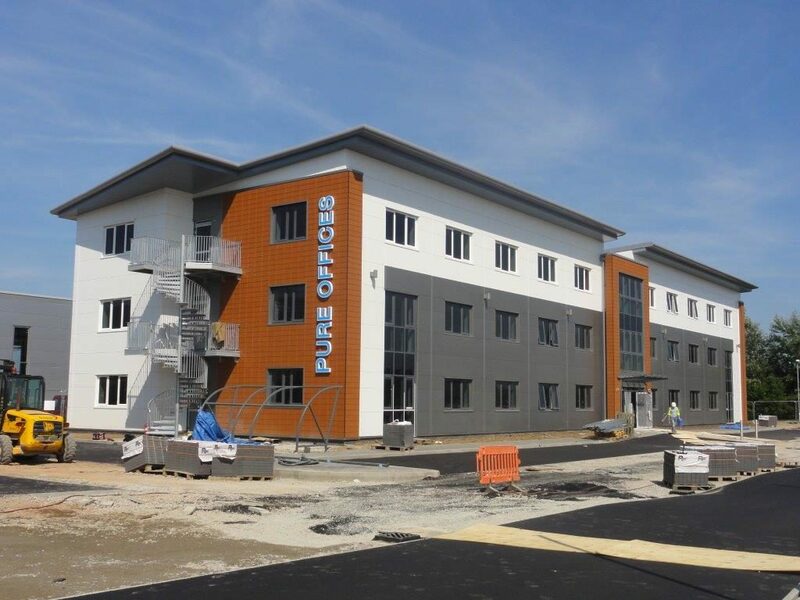 Contract awarded to design, supply and install roof and wall cladding materials for a new office development for Pure Offices at Tournament Fields Business Park in Warwick. Roof: 900 m2 Tata 25 year Platinum Warranty roof system with 0.70mm thick galvanised steel HPS200 coated outer sheet to achieve a ‘U’ value of 0.22 W/m2K. Incorporating a 2mm thick aluminium PPC perimeter fascia detail. 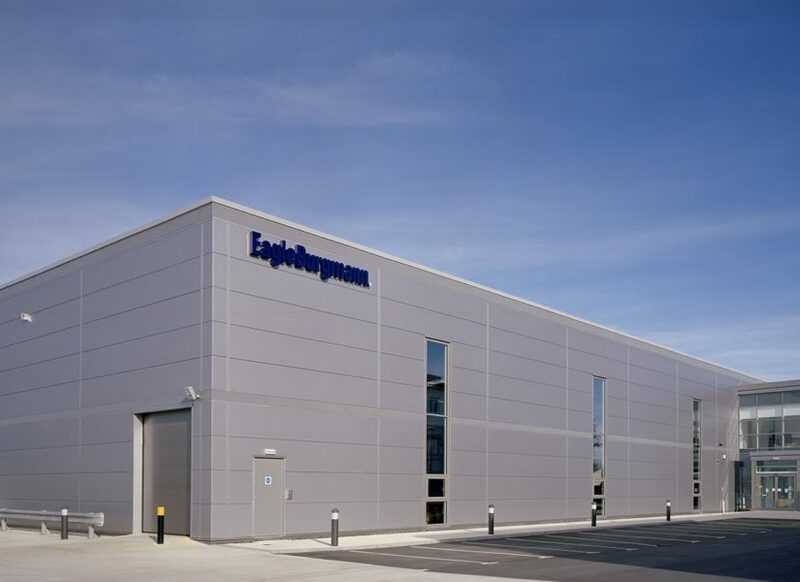 850 m2 Kingspan KS900 and 1000MR panels to achieve 0.21 W/m2 K coated Spectrum in Silver, Pearl and Obsidian colours. 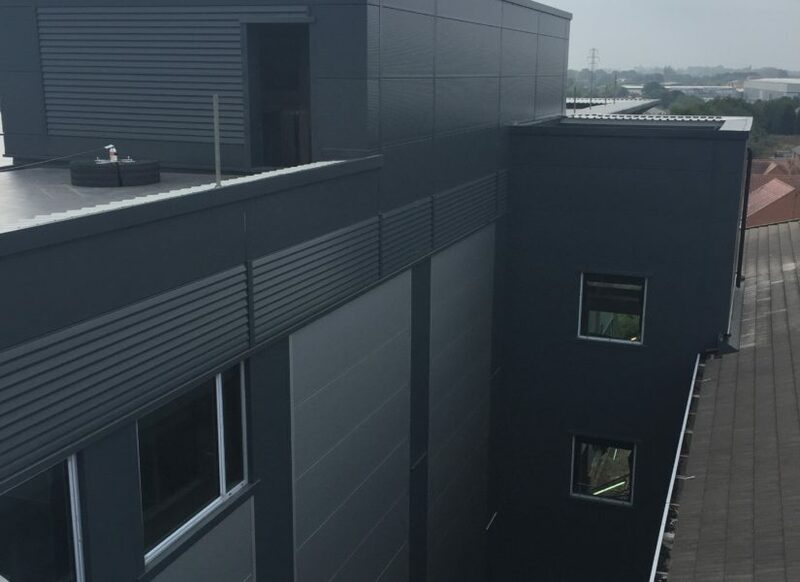 There was also 230 m2 Benchmark Ceramic Tile façade system comprising of a composite insulated backing panel and external tile fixed back to the composite panel on an aluminium rail system.